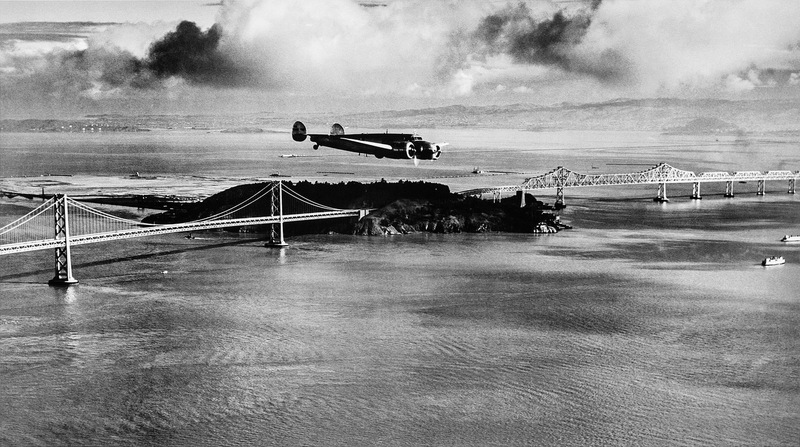 17 March 1937, 4:37 p.m. Pacific Standard Time (23:37, UTC): Amelia Mary Earhart departed Oakland Municipal Airport, located on the eastern shore of San Francisco Bay, beginning the first leg of her around-the-world flight. Also aboard were her friend and adviser, Albert Paul Mantz, navigator Frederick J. Noonan and radio operator/navigator Harry Manning. 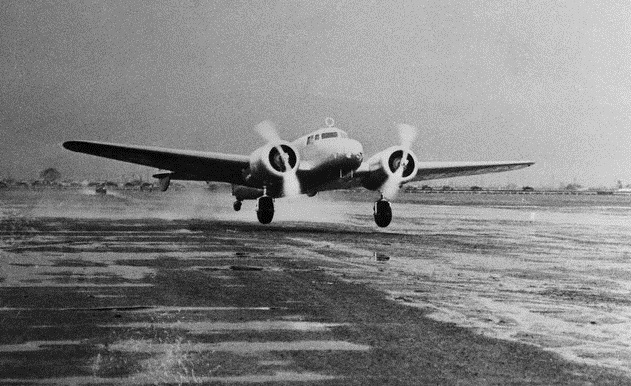 The airplane was Earhart’s Lockheed Electra 10E Special, NR16020. 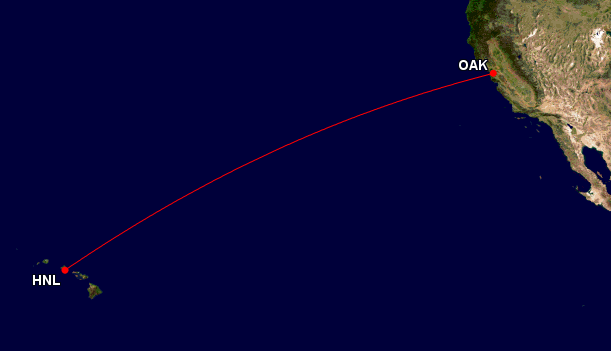 Flying a Great Circle course, the distance from Oakland to Wheeler Field on the Island of Oahu, Territory of Hawaii, was 2,093 nautical miles (2,408 statute miles/3,876 kilometers). Amelia Earhart and her crew pose in front of the Electra. 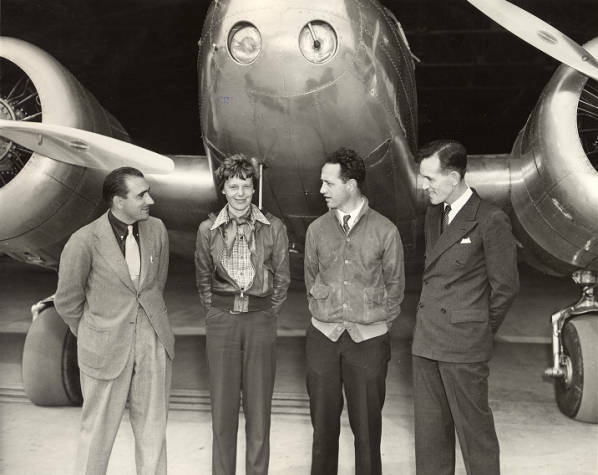 Left to right, Paul Mantz, co-pilot; Amelia Earhart, pilot; Captain Harry Manning, radio operator/navigator; and Captain Frederick J. Noonan, also a navigator, at Oakland Municipal Airport, California, 17 March 1937. 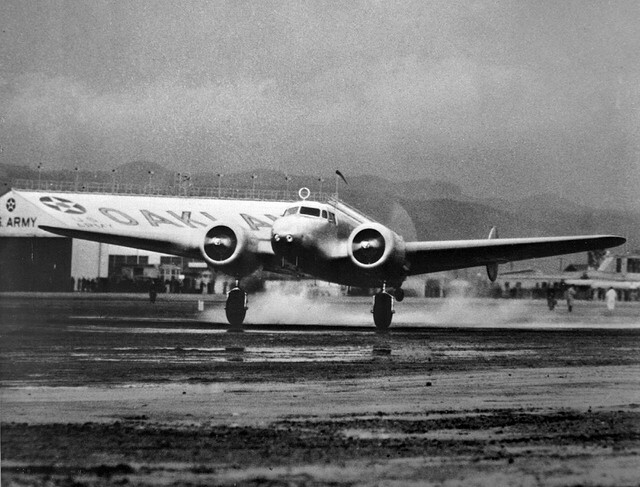 Amelia Earhart’s 1936 Electra 10E Special, serial number 1055, was the fifth of fifteen built by the Lockheed Aircraft Corporation at Union Air Terminal, Burbank, California (now, Hollywood Burbank Airport, BUR). Designed to carry as many as ten passengers, NR16020 had been modified to carry fuel for 20 hours of flight. Amelia first flew the Electra with a Lockheed test pilot, Elmer C. McLeod, 21 July 1936, and took delivery on her 39th birthday, 24 July. The airplane cost $80,000. 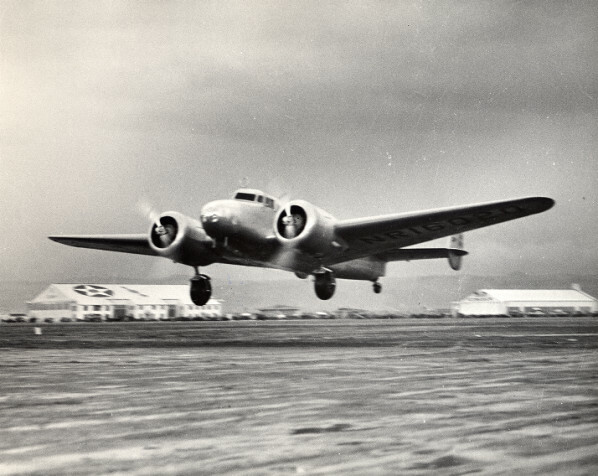 The Lockheed Electra 10 was designed by Hall Hibbard, and was Clarence L. “Kelly” Johnson’s first assignment when he went to work at Lockheed. It was 38 feet, 7 inches (11.760 meters) long with a wingspan of 55 feet, 0 inches (16.764 meters) and overall height of 10 feet, 1 inch (3.073 meters). 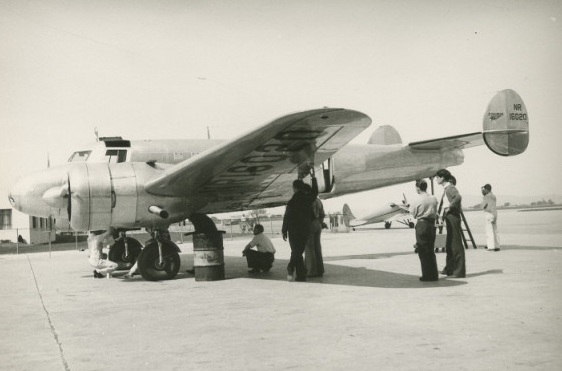 While the basic Model 10 had an empty weight of 6,454 pounds (2,927.5 kilograms), Amelia Earhart’s modified Electra 10E Special had an empty weight of 7,265 pounds (3,295.4 kilograms), partly as a result of the additional fuel tanks which had been installed. Fully fueled, NR16020 carried 1,151 gallons (4,357 liters) of gasoline. 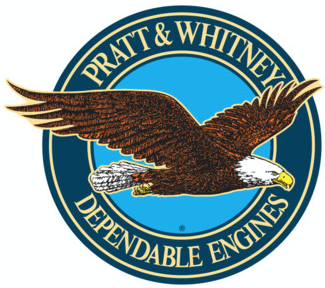 NR19020 was powered by two air-cooled, supercharged, 1,343.804-cubic-inch-displacement (22.021 liter) Pratt & Whitney Wasp S3H1 single-row nine-cylinder radial engines with a compression ratio of 6:1. These engines used a single-stage supercharger. The S3H1 had a Normal Power rating of 550 horsepower at 2,200 r.p.m. to 5,000 feet (1,524 meters), and 600 horsepower at 2,250 r.p.m for Takeoff, using 80/87 aviation gasoline. 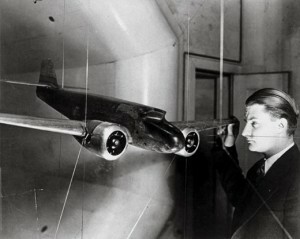 The direct-drive engines turned two-bladed Hamilton Standard variable-pitch, constant-speed propellers with a diameter of 9 feet, 7/8-inch (2.675 meters). The Wasp S3H1 was 3 feet, 7.01 inches (1.092 meters) long, 4 feet, 3.60 inches (1.311 meters) in diameter, and weighed 865 pounds (392 kilograms). 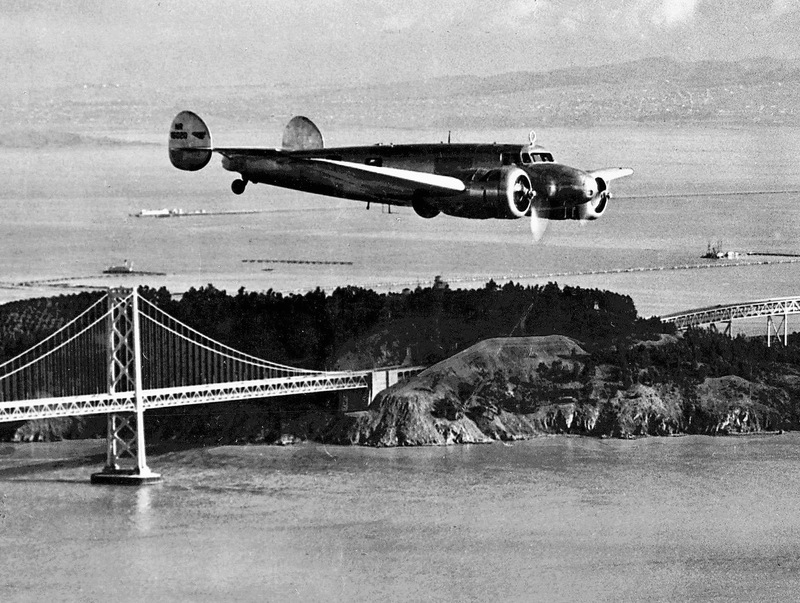 Amelia Earhart’s Lockheed Electra 10E, NR16020, taking off from Oakland Airport, 1637 hours, 17 March 1937. The tail wheel has just lifted off the runway.